If you’ve ever been locked out of your home, office or car chances are you are well aware of how stressful it is. In addition to being stressful, it is a huge inconvenient. If you are locked out of your home, office or car, you’ll certainly need to completely change your day’s plan. As a result of this change, many end up ruining their entire day. In some cases, being locked out of your car, home or office can be dangerous. Therefore, it is important to have a 24 HR Sydney locksmith in mind or on speed dial. Currently, several companies in Australia offer 24 HR Sydney locksmith services. With such numbers, finding a reliable and trustworthy locksmith is daunting. This process becomes harder if you are looking for a locksmith that offers a variety of services. It is with this that we’ve decided to share with you this post. To help you with the process of hiring a locksmith, we’ll be highlighting one of Sydney’s go to locksmith service company, iUnlock. We’ll do this by looking at three key services they offer. Also, we’ll look into the Sydney suburbs iUnlock Locksmith covers. Whether it’s your car/home/office, being locked out, especially at night can be dangerous. This is more so true if you are locked out of your car in a place you aren’t familiar with. In such situations, it is advised to first look for a safe place to wait for assistance. Once you are safe, dial iUnlock Locksmith number. One of the benefits of iUnlock’s 24 HR locksmith services is their response. They do have a fast response. Therefore, expect to see one of their trained locksmiths ready to assist you within minutes. Once they are there, they’ll be able to grant you access to your car quickly and safely. Similarly, they’ll do this to both home and office. For your home or office, they’ll grant you access without damaging locks or doors. Another reason why you need iUnlock as your 24 HR Sydney locksmith service provider is lost or broken keys. They will replace your broken or lost keys quickly and fast. Most noteworthy is the fact that they’ll make repairs and replace your key without damaging any of your locks. If you’ve lost or broken your car keys, they’ll replace it for you at a cheaper price. This, of course, if compared to your dealership prices and other locksmiths in Sydney. Hence, you can expect to pay less and receive fast services with iUnlock Locksmith. With door locks, it’s common for them to weaken or corrode over a period of time. This is more so true if one neglects them or refuses to replace them as required. Due to this, a good number of them tend to break. Damaged locks as am sure you are well aware of, don’t happen at regular times. In most cases, they break at an odd time or hours. Because of this, you need 24 HR Sydney locksmith services. 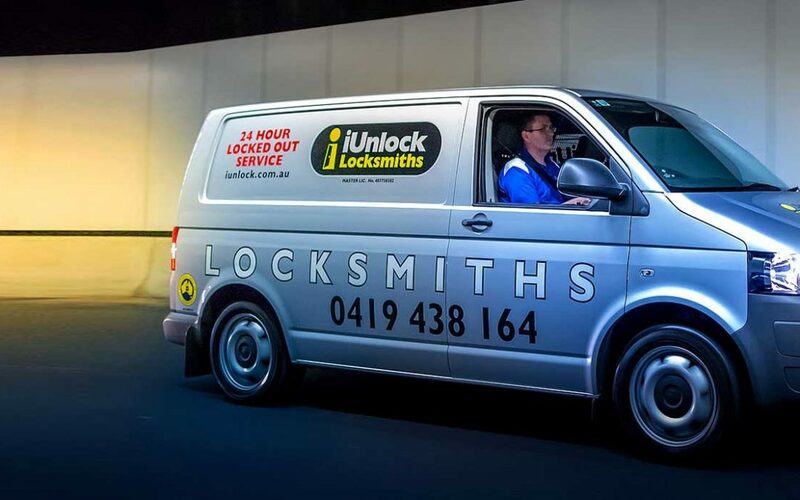 With iUnlock you’ll get a 24 HR Sydney locksmith expert who’ll replace or repair your locks conveniently. They are also in a position to check or inspect your locks. They’ll offer you valuable advice after working their magic. Should you replace or change your locks? Should you repair them? They’ll also offer more valuable advice on how best to care for your locks. For a complete list of Sydney suburbs they cover, we suggest visiting iUnlock home page. Likewise, you can get additional information on all things iUnlock while there. You can as well dial this iUnlock Locksmith number 1800 878 171 to speak with one of their representatives. They’ll assist you with all your 24 HR Sydney locksmith services questions.